Gee! You're wonderful! 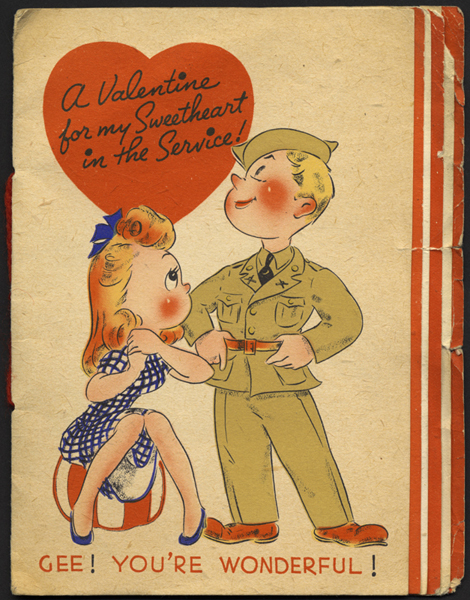 A valentine for my sweetheart in the service! - Boston : Rust Craft, [ca. 1942]. To my sweetheart [with a world of love]. - [USA? : Volland Joliet?, ca. 1942].